A year, almost to the day, after its spectacular launch, the new Volvo FH was elected International Truck of the Year 2014 by leading commercial vehicle journalists, representing 25 magazines throughout Europe. The Truck of the Year award was received by Volvo Trucks’ President Claes Nilsson at a ceremony at the Comtrans exhibition in Moscow yesterday evening. 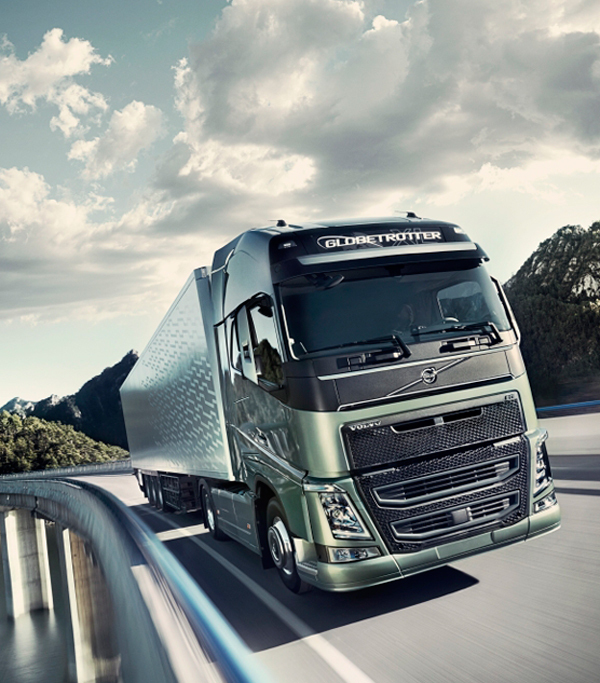 State-of-the-art premium truck This is the third time the Volvo FH is elected International Truck of the Year. It also won the award in 1994 and 2000. “We are honoured and happy. When we introduced the new FH in September 2012, we claimed that it was pushing the envelope of what a premium truck could offer. The International Truck of the Year award confirms that the Volvo FH lives up to this promise,” says Claes Nilsson, President of Volvo Trucks. The all-new Volvo FH is a truck built with the driver in mind and the focus on improving the haulage firm’s profitability. It boasts important innovations in all crucial areas: fuel economy, ergonomics, handling, active and passive safety, and time-saving features. The truck is available with a range of 13- and 16-litre engines. The I-See technology can save up to five per cent fuel. I-See uses electronically recorded information about the topography of the roads to automatically optimise gear shifting, speed and auxiliary braking. The handling is superior thanks to an improved chassis and the option to choose individual front suspension. The driving position is better and offers greater flexibility. For instance, the steering wheel now has a neck tilt function, a world-first in the truck world. The driver has a better view of the road, not least owing to the increase in the usable window area in the cab and the innovative rear-view mirror design. More upright A-pillars add one cubic metre of interior space. This gives 300 litres of on-board extra storage capacity and greater on-board comfort. Volvo Trucks offers maximum uptime with the new FH. This promise is based on new technology for remotely monitoring component wear and overall vehicle condition.